﻿ 5 Foolproof Ways to Generate Leads for Your Business » Red Mango Marketing! As a small business, generating leads is a top priority. Luckily, there are many ways get more leads quickly and effectively. The following five ideas can be used by businesses of all sizes and most industries. The key is to test and modify to make them work for your customer base. Facebook ads are one of the best ways to drive leads. If you’re willing to “pay to play,” you have access to specific targeting options, including age, location, interests, and more. The ad should be closely related to the content people are clicking through to. If there’s any confusion, people are more likely to click away, assuming there was a mistake. Use eye-catching, bright colors, rather than blues or whites. The latter tends to blend in with Facebook’s branding, suggests James Scherer of Wishpond. 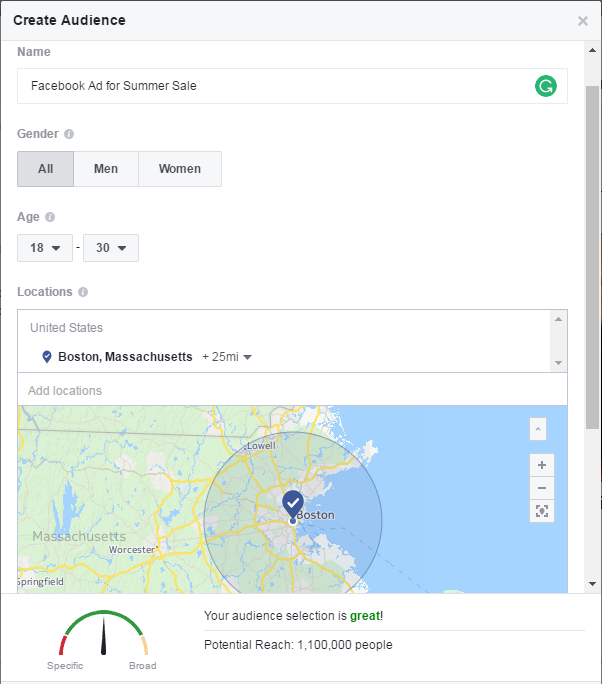 Run your first ad based on a “lookalike audience,” which uses your list of imported customers to find similar Facebook users. Know the difference between CPM (cost per impressions) versus CPC (cost per clicks). Read through Facebook’s guide on this before choosing one or the other. Email marketing is a great way to drive leads, especially when your emails are personalized to the person receiving it. A study by Experian found that personalized emails generated up to six times higher revenue than non-personalized emails and campaigns. Use your email platform to personalize your email greeting to include the recipient’s name. Group your contacts by name location, purchase history, or expressed interests. This small touch can help you drive more leads while building brand loyalty with potential customers. As you begin sending emails, it’s important to track your success. This allows you to test, modify and evolve, driving more leads with each send. Compare your open and click rates to the average for your industry, as well, to determine if you’re on par or behind. Tip: Use Constant Contact’s Industry Chart to check your numbers. Don’t forget to check where people are clicking within the email itself. If you place links in more than one place in your email — which you should to increase total clicks — track which ones are being clicked more often. Learning your subscribers’ habits allows you to be more effective. To drive leads with discounts and coupons, focus on “new customer coupons.” In a 2016 CouponBox survey, 75 percent of retailers polled said this was the best coupon/discount for increasing long-term revenue. Once you’ve created your deal or coupon, it’s time to distribute — you can’t expect customers to find these discounts and deals themselves. Share with current and future customers via all your online platforms, including social media and email. 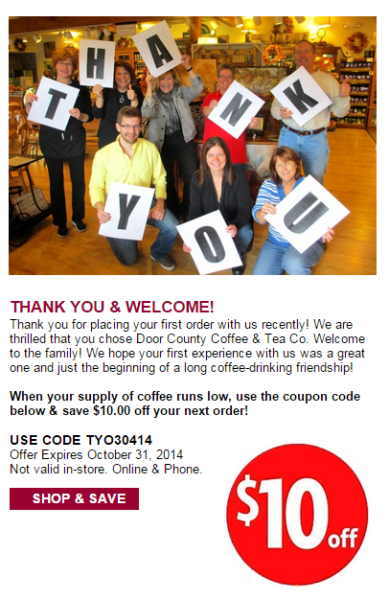 Tip: Strike while the iron’s hot and add an introductory discount to your Welcome Email. If possible, create a banner ad or pop-up for your website as well, enticing potential customers to buy right then and there. If direct mailing is part of your marketing budget, use this as a way to distribute discounts and coupons as well. Content is a great way to build search engine optimization for your website, show your knowledge as a business, and generate leads. The first step in using content as a lead-driving tool is to remember that this term encompasses more than just blog posts. Content could be an ebook, guide, white paper, graphic, in-depth study, or video. The content is then gated, so potential customers give you their contact information in exchange for access to it. To make the most of this content, consider how you can make it most valuable and targeted. For example, if your ideal customer is in the healthcare industry, create a piece of content for healthcare leaders. Learn about this audience, write about a topic that you’ve found to be most important to them, and in a format they prefer (I.E. ebook versus white paper) and then promote it accordingly. As a small business, you can generate leads by partnering with other small businesses. A simple way to facilitate this is with a referral partnership. In this case, you receive a percentage of the revenue from referrals you send to the other business and vice versa. Have your lawyers or legal team create and proof paperwork, to ensure both sides are clear on the stipulations. Include information about requirements such as quality of the leads, total sale amount, percentage tiers, and more. How will you generate leads for your business? Every business needs to drive leads. Using these proven strategies, you can drive leads, even with a small budget. Consider which ideas are best for your potential customers and start testing! Looking for more marketing tips? Sign up for our newsletter! Our Hints & Tips newsletter delivers our best marketing resources straight to your inbox. Ready to give email marketing a try? Sign up for a free, 60-day email marketing trial! About the author: Jessica Thiefels has been writing and editing for more than 10 years and spent the last five years in marketing. She recently stepped down from a senior marketing position to focus on growing her own startup and consulting for small businesses. When she’s not working, she’s enjoying sunny San Diego with her husband and friends or traveling somewhere new. Follow her on Twitter @Jlsander07. 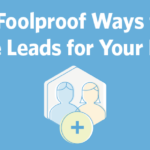 The post 5 Foolproof Ways to Generate Leads for Your Business appeared first on Constant Contact Blogs. This entry was posted on Wednesday, May 31st, 2017 at 10:15 am	and is filed under Business Tips, Content Marketing, Email Marketing, Facebook, facebook ads, Fresh Insights, News & Updates, Online Marketing, Social Media Marketing. You can follow any responses to this entry through the RSS 2.0 feed. Both comments and pings are currently closed.